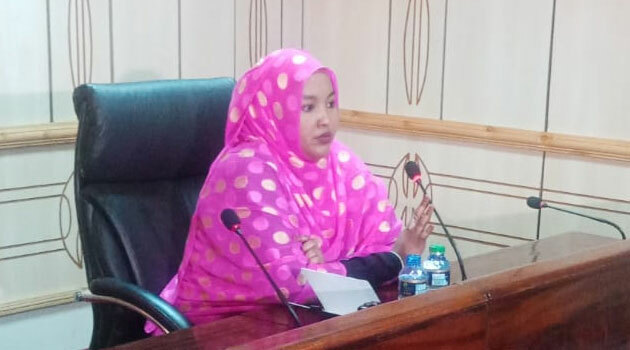 By NJOKI KIHIU, NAIROBI, Kenya, Sep 25 – Wajir Woman Representative Fatuma Gedi has denied bribing her colleagues to shoot down the controversial sugar report, saying she only persuaded them to reject it. Appearing before the Powers and Privileges Committee Chaired by House Speaker Justin Muturi, Gedi says the accusations are malicious and directed to tarnish her name stating that some of them are tailored from personal disagreements. “Allegations made by Didmus Barasa Mr Speaker are false. I did not bribe anyone, and I was shocked when I saw him in the media saying I had an envelope with Sh10,000 which I tried to offer him,” she said. Kiambu Woman Representative Gathoni Wa Muchomba on her part says she overheard some women MPs saying they had been given money by Gedi in a bid to shoot down the report. “I went to the washroom area and while there I overheard some ladies tell each other that they were given money by honourable Gedi to shoot down the report. They did not come out until I left but I personally did not see her give out the money and I was also not offered money by anyone,” explained Wa Muchomba. On the other hand, Lugari MP Ayub Savula has accused the Joint Committee that was investigating the sugar scandal of being too friendly with witnesses thus leading to a compromised report. “It has been said again and again that the committee will conduct its mandate with all the seriousness needed. Have you ever seen a judge stand to greet the accused? The manner in which the Joint Committee was conducting its investigation is not acceptable. They were so “cozy” with the witnesses and this may have led a rejection of the report,” Savula expressed. Others who appeared before the committee include South Kuresoi MP and Nakuru Town East MP David Gikaria who disassociated themselves with the claims. Last week on Monday, at least 10 Members of Parliament led by Kimilili MP Didmus Barasa appeared as witnesses before the Powers and Privileges Committee and contradicted themselves on the allegations as others denied and others admitted that indeed some MPs received as little as Sh10,000 to shoot down the report.